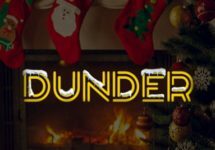 Dunder Casino – 1 Year Anniversary! Celebrate the first birthday and win a dream holiday! 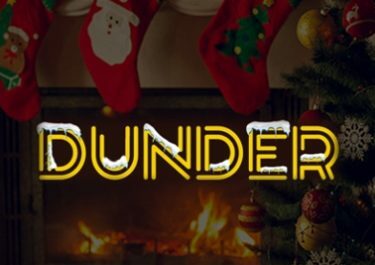 One year has gone by already since Dunder opened its doors to the gaming community and they will celebrate it in style with a month-long birthday bash that will see dream holidays, exclusive weekend trips and tons of cash prizes, Big Spins and Free Spins going to their loyal players. As always their promotions are multi-stage with daily and weekly achievements and a grand prize draw at the end that will see the main prize pool being shared by 200 lucky winners. Not yet playing at Dunder? Then sign-up now and enjoy their humongous Welcome Package with 20 Free Spins on registration, €/£/$ 600 in Deposit Bonuses and another 180 Free Spins on top. 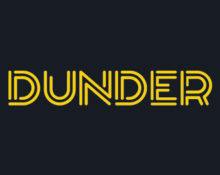 All Dunder players are cordially invited to month-long birthday celebrations to mark their 1st anniversary. As usual their promotions are excitingly designed multi-stage rewards that will see more extras going rather to loyal players than the casual visitor. The party favors are though yet again out of this world with a dream holiday as first prize. The promotion is divided into daily and weekly missions plus the Grand Prize Draw being held on 4th April 2017. Check the daily calendar for the current offer and mission. Additionally, completing 3 / all missions in one week (Monday – Sunday) will be rewarded with 10 / 50 Free Spins on Hot Sync. Free Spins are credited on Mondays by 15:00 CET and winnings need to be wagered 25x subject to the standard bonus terms. On 4th April Dunder will draw randomly 200 winning tickets from all qualifying entries with the prizes allocated in the order the tickets are drawn. Only one prize per player. The holiday prizes cannot be exchanged for cash. Big and Free Spin winnings have a 25x wagering requirement. Big Spins are worth £1 each. Cash prizes are wager free. A seven day long amazing trip to Tanzania with a friend where you’ll first be spending a few days on a once in a life time safari experience followed by some relaxing on the breathtaking beaches of Zanzibar. The package includes flights, accomodation and an all-inclusive safari experience. Spend a weekend in the city that never sleeps. The package includes for two people: flights, 4-nights stay at the 5-star botique hotel Andaz 5th Avenue and £1000 in pocket money. Catch the spring in the vibrant city of Barcelona. The package includes for two people: flights, three nights at the fantastic Gran Hotel La Florida and £500 in pocket money. 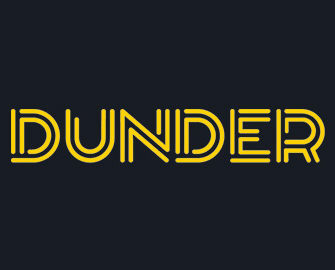 The guys behind Dunder launched their casino in 2016 after working for more than a decade in the industry and they have chosen the trusted MT SecureTrade Ltd. platform to operate from. Equipped with Maltese and UK licenses they offer a superb experience on desktop and mobile with 1,000+ games from world class suppliers such as Netent, Betsoft, WMS, Microgaming, Elk Studios, NYX Interactive, Play’n GO, Yggdrasil or Quickspin and Evolution Gaming for their Live Casino tables. Coupled with super fast payments 24/7/365 and great customer support they are destined to be one of the players favorite gaming hangouts.